Who can resist the Cavanaugh Brothers and their charm? The second book in the series of the Cavanaugh Brothers, “Broken” takes us close to the life and insecurities of James Cavanaugh. A man tormented by a painful past, a past that keeps him away from love and woman, yet has an uncanny ability to talk to horses. Called the horse whisperer, and amassing millions to his name, James Cavanaugh stays away from any relationships until he comes across Sheridan O’Neil. Sheridan works for Deacon Cavanaugh (Branded) and oversees his construction and business. Beautiful, sassy and extremely big at heart, she is drawn to James like no other. Despite the pain from her past, and having no one to call as a family in her life, she tackles every day by the horns, and has a great positive attitude. I loved Sheirdan’s character so much – calls a spade a spade, sassy mouth and such a sweetheart of a friend! With Sheridan confessing her feelings for James, it’s up to James to get over his past of guilt and make sure he doesn’t lose Sheridan to his insecurities. He needs to find a way to trust Sheridan with his heart and love, leaving the fear of failure behind. Filled with witty banter between James and Sheridan, a mystery shrouding the future of the Cavanaugh brothers as they try to solve the murder of their sister, “Broken” is a flirty ride of love, compassion, trust and support. 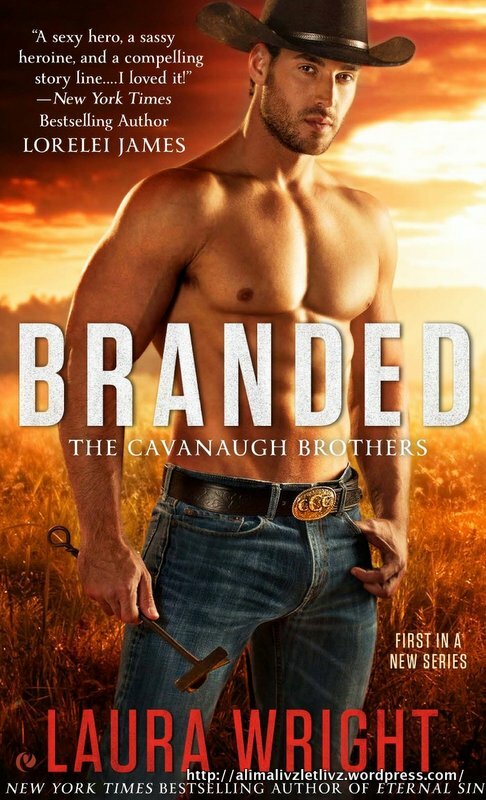 Laura Wright pens another scintillating story around the Triple C Ranch and the Cavanaugh Brothers. A definite keeper in my collection! « New Year’s In Napa – Intoxicating Vintage!